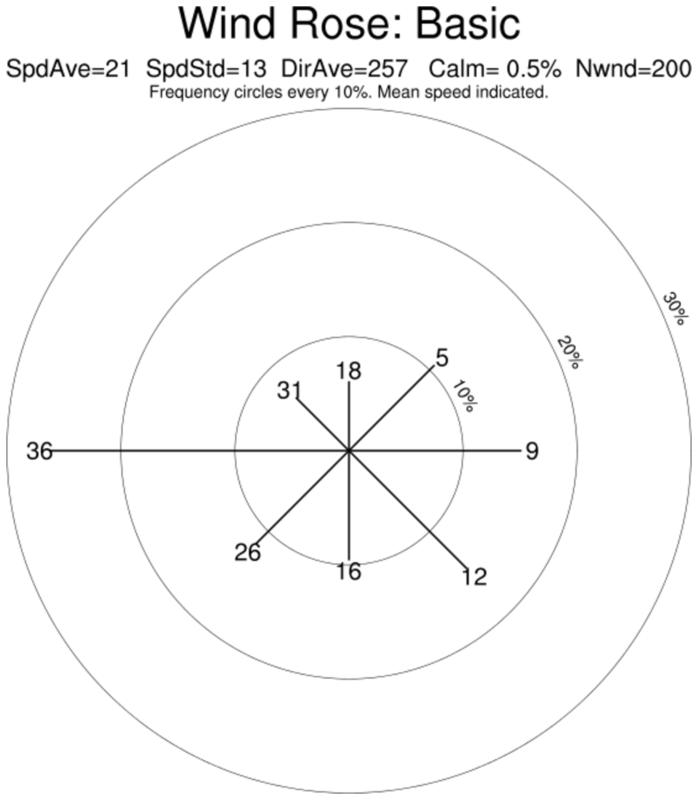 A wind rose displays the frequency (percentage) of wind directions for a specific location over a specifed period of time. The wind rose created by NCL's wind rose procedure is circular with each circle representing the percentage of time the wind blows from a particular direction. The mean wind speed is printed at the end of each directional line. FInally, overall statistics for the entire data sample are included in the title. NOTE: This is a donated function. Users may have to modify the code themselves for special effects. The code is not necessarily supported by the NCL Team. Questions to ncl-talk@ucar.edu may or may not be answered. 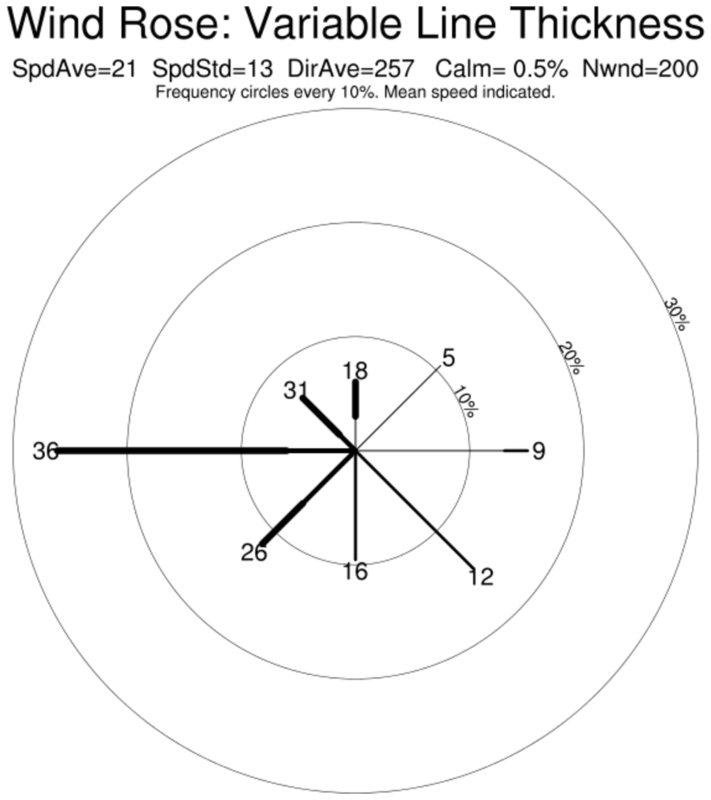 rose_1.ncl: Demonstrates a basic wind rose plot. 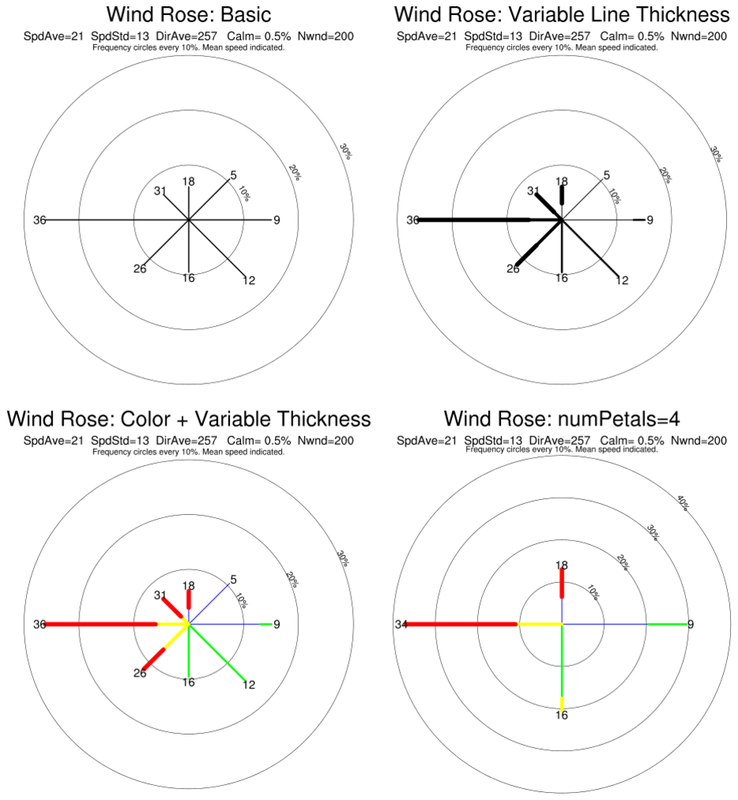 The function WindRoseBasic creates and draws a basic wind rose. There are other functions that make slightly different plots (see examples below). rose_2.ncl: Demonstrates a wind rose plot with thicker lines. The function WindRoseThickLine creates and draws a wind rose with thicker lines. 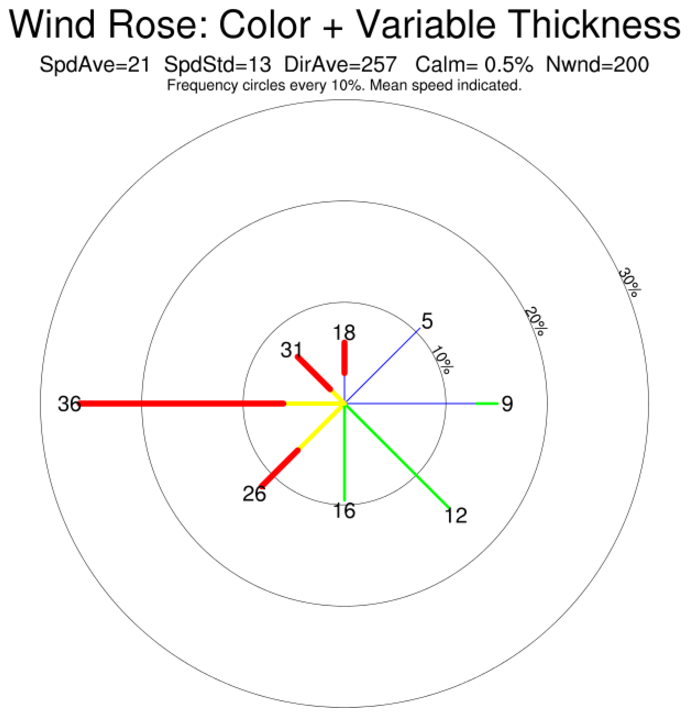 rose_3.ncl: Demonstrates a color wind rose plot with thicker lines. 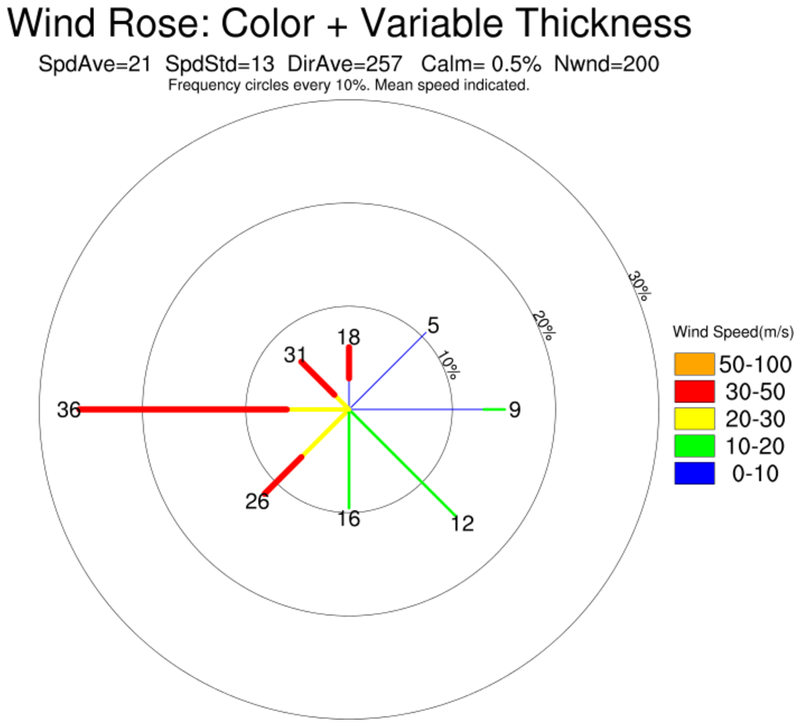 The function WindRoseColor creates and draws a color wind rose with thicker lines. rose_4.ncl: Wind roses can be panelled.